Authored by ognarb on Mar 6 2019, 12:48 AM. 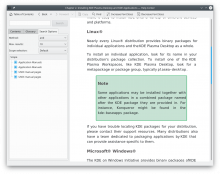 are now deprecated and will be removed in KF6. 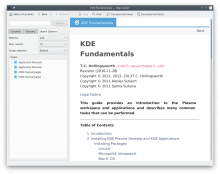 ognarb added reviewers: VDG, Documentation. Why changing from jpg to png for the image file ? Can't we just go SVG with the icon? I only had a png version in my hard drive, but if it's a problem I can convert the png in a jpg. I tried this first but khtml didn't look like it support svg. @aacid it is ready to land? The logo is just 2 colors, and the PNG is smaller than the JPEG, without introducing artifacts. I would definitely prefer a PNG here. Is it intentional the PNG is 129x129 while the JPEG is 128x128? Also, the JPEG shold be removed. I'm not sure, but I think this will be a problem with some documentations where the html wasn't regenerated, because the html wasn't regenerated the image element will link to a deadlink. The new PNG is fuzzy, thats probably the reason it does not compress well. Try exporting it with inkscape, and check if the vertical/horizontal edges are pixel grid aligned. Apply optipng. Thanks @bruns I learned something new :D.
@ognarb i don't really have much to say here, my comment was just about a new file being introduced that seemed unnecessary. 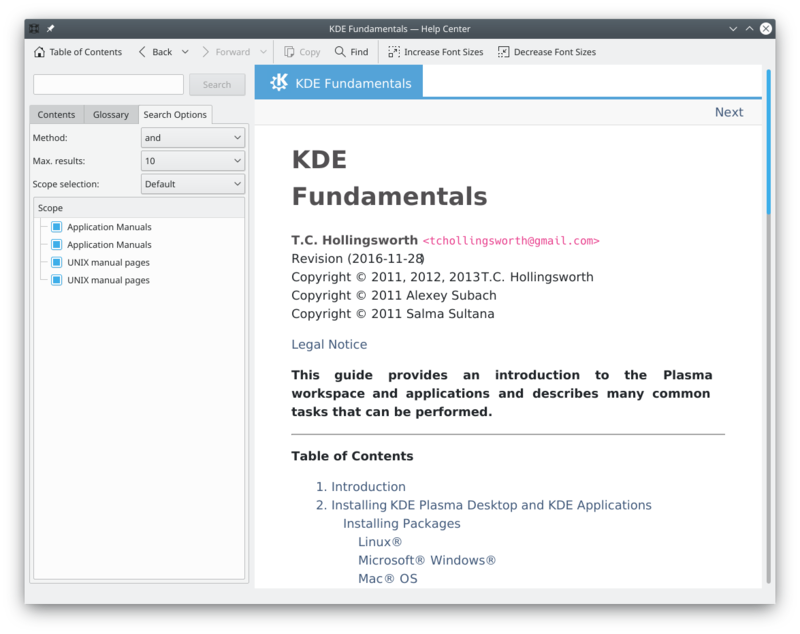 I'd say you want @ltoscano for someone that probably knows a bit about docs.kde.org code and maybe someone from VDG to say if it's prettier than before? Can you make it use Noto Sans by any chance? From the technical point of view, I wouldn't remove any of the exiting files right now, at least not until KF6. 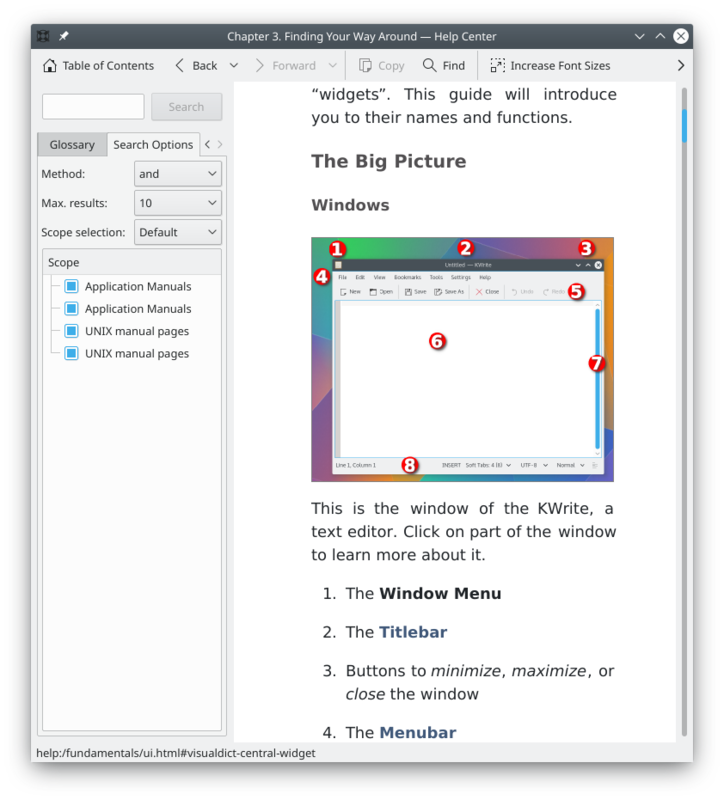 I'd suggest using new names, just to avoid the possible confusion between the old top-kde.jpg and the new top-kde.png. @rooty The font can be changed in the khelpcenter settings. But it's strange that it doesn't use Plasma settings per default. 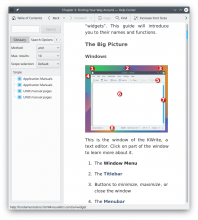 top-kde.jpg is rewritten using the same size of the original, and of course same format. 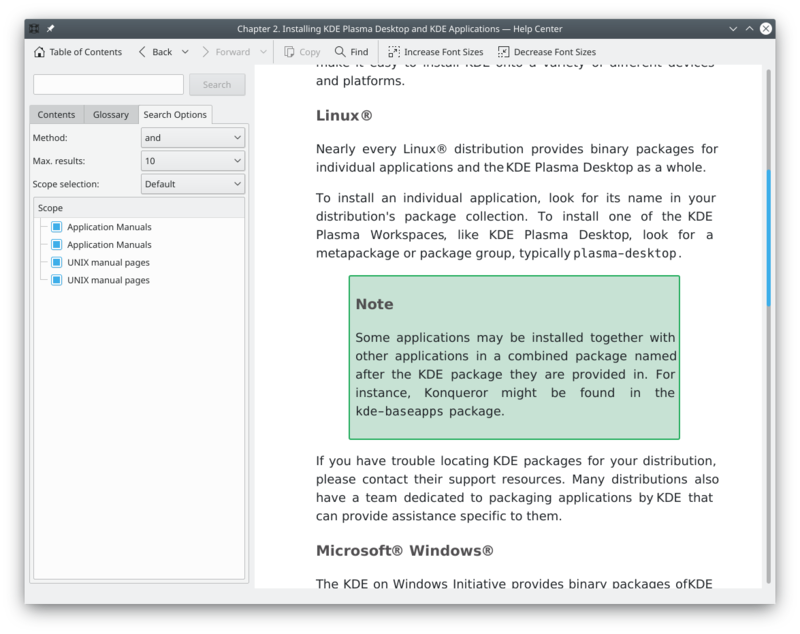 No need to add the new kde.png. You may want to add it, but same format, so that we can switch in KF6. This should ensure no unexpected changes if any user expect the image to be that size, and both newly-generated pages and the old ones will have the same aspect. Sorry if it was the case in the first review. The point about the commit message is still valid. No problems ;) Thanks for the review.